When will my Student Graduate? 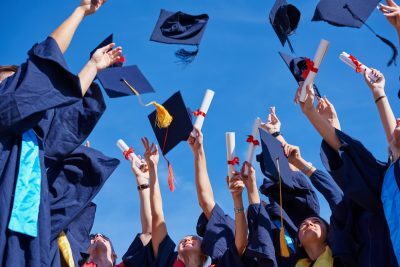 There seems to be some confusion about “When will my student graduate?” Here’s an attempt to clarify some questions and make the transition to adult life a little easier. First, there is a difference between “Graduation” and “Exiting” the public school system. Graduation includes walking with your classmates while wearing a cap and gown, its senior activities, and the big party! It may not include receiving your formal diploma, Certificate of Individual Achievement or Certificate of Academic Achievement. Your student might receive an empty diploma holder to be filled with student certificate when all graduation requirements are met. Washington state requirements for graduation are listed on the OSPI website and include; “To earn a high school diploma, a student must: Earn high school credits, pass state tests or approved alternatives to those tests and complete a High School and Beyond Plan.” These requirements apply to all students. Your student, with an IEP, may have accommodations, modified grades and other exceptions not provided to other general education students but remember, your student is a general education student first! You may want to review your district requirements as some districts add other requirements and tweak accommodations to meet students “Individual” needs. Next, have you heard of Kevin’s Law? In 2007 Revised Code of Washington # 28A.155.170 was enacted requiring school districts to develop a policy for students with an IEP to enjoy the graduation hoopla (our words, not theirs) and then return for additional related services and progress/completion of goals and state graduation requirements. Third, when reviewing the IEP annually, you want to pay close attention to the “Expected Date of Graduation”. Our students have the right to Free and Appropriate Public Education, or FAPE, through the school year of their 21st birthday. Your IEP team should be discussing appropriate transition services by the students 16th year. These services can include things like community experiences, employment & living skills, and connection to related services like DVR, SSA and DDA. The transition plan might also include conducting appropriate assessments in the areas of needs, strengths, preferences and interests. You can find more information and a great tool for Transition Services at Center for Change in Transition Services. Check with your school district to see what Transition Programs exist. You may be surprised to find out that there are specific programs designed for the 18-21 year old students. Your student may have access to great programs that provide “Life After High School” skills needed for future success. We hate to be the one to tell you, but one day the yellow bus will stop coming. Does your student have a plan for their future? Now is the time to insure for a successful launch from high school to adult life. Good luck…it’s a journey not a race.